At its time of release, Expedition was the largest set yet, containing scores of both Kanto and Johto Pokemon. 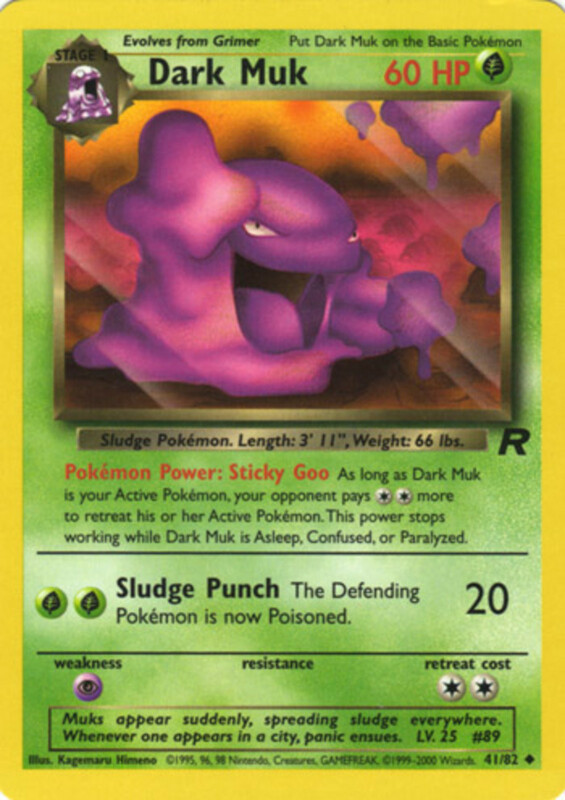 With a new card design and unique artwork, Expedition helped reinvigorate interest in the TCG. Read on to discover the six best Expedition cards! 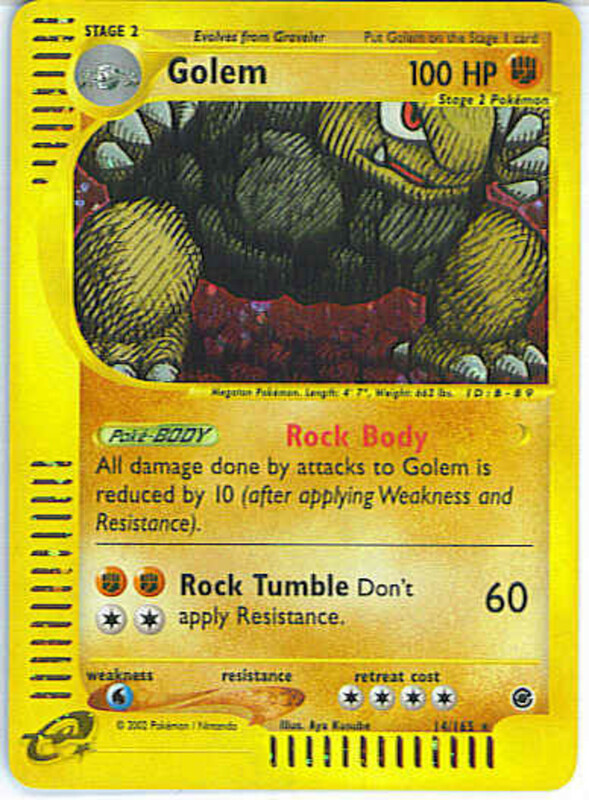 Rock Body (Poke-Body) Reduces all damage from attacks to Golem by 10. Rock Tumble (4 Energy) Deals 60 damage and ignores enemy Resistance. Golem only has one attack, so you want to be able to access it quickly. Consider using a Double Colorless Energy for Rock Tumble, letting you wield it after attaching only three Energy cards. 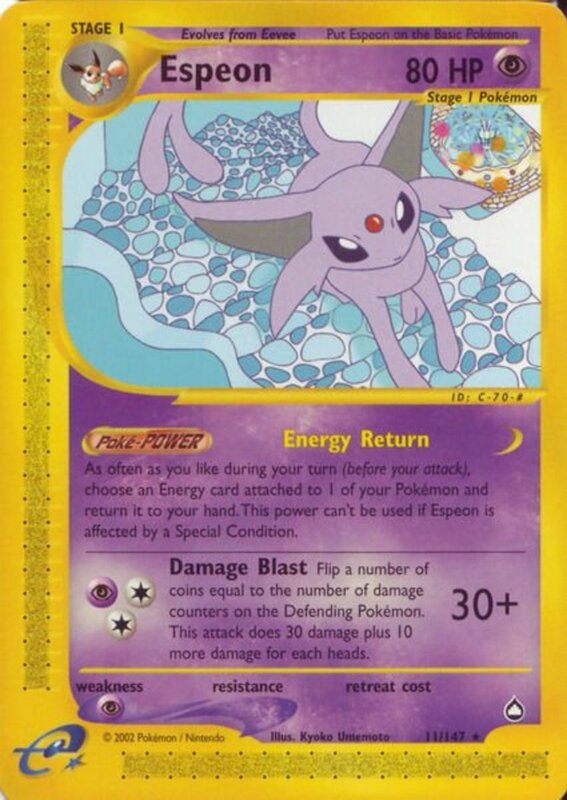 Burning Fire (Poke-Power) Lets you change all Basic Energy cards attached to your Pokemon to Fire Energy for the rest of your turn. Sadly, since this only affects Basic Energy, it can't be used with the Double Colorless card. Scorching Whirlwind (4 energy) Incinerates for 120, and flips two coins. 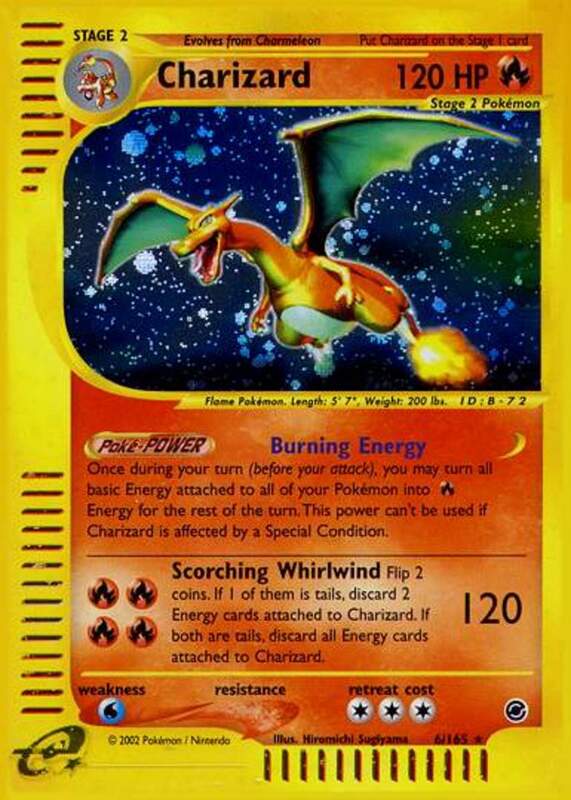 Two Tails forces Charizard to discard all its Energy, one Tails discards two Energy, and two Heads lets it keep all Energy. Charizard has enough HP to take some hits and an absurdly powerful attack; however, you'll likely have to discard some resources each time you use it. Ensure you run cards to recycle Energy from your Discard Pile to fuel Scorching Whirlwind and make the most of this dragon. Terraforming (Poke-Power) Lets you look at and rearrange the top four cards of your deck once per turn, perfect for drawing what you need sooner. Iron First (4 Energy) Strikes for 50, then flip a coin. If Heads, add 10 damage for each Pokemon on your team with a damage counter on it (including Machamp). 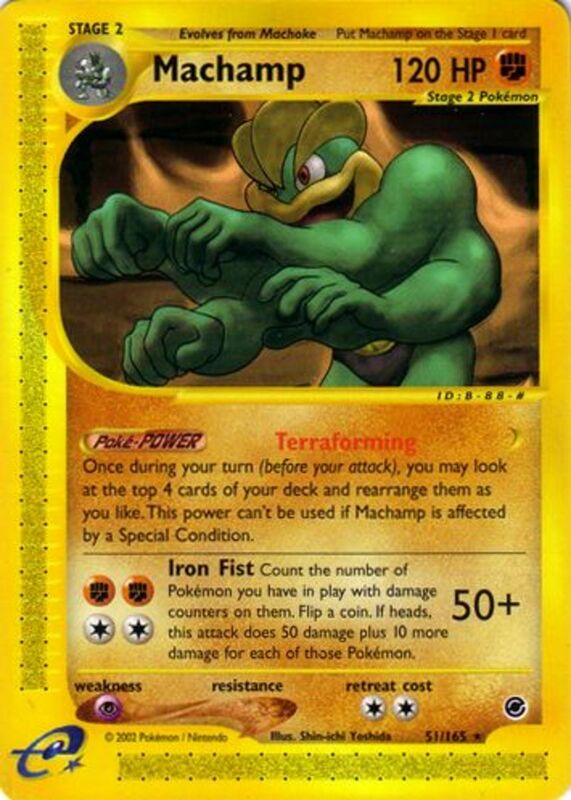 Machamp aids with draws while punishing Bench damagers with its Iron Fist effect. 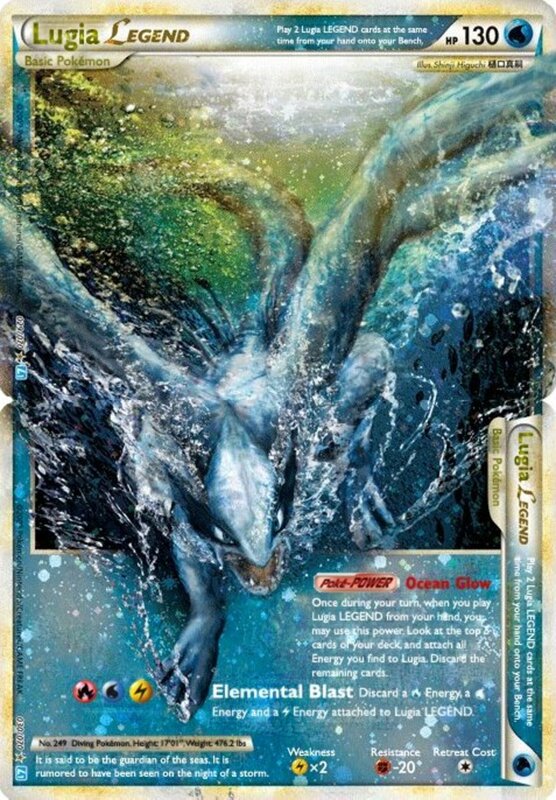 Again consider a Double Colorless Energy to access the attack with just three Energy cards. 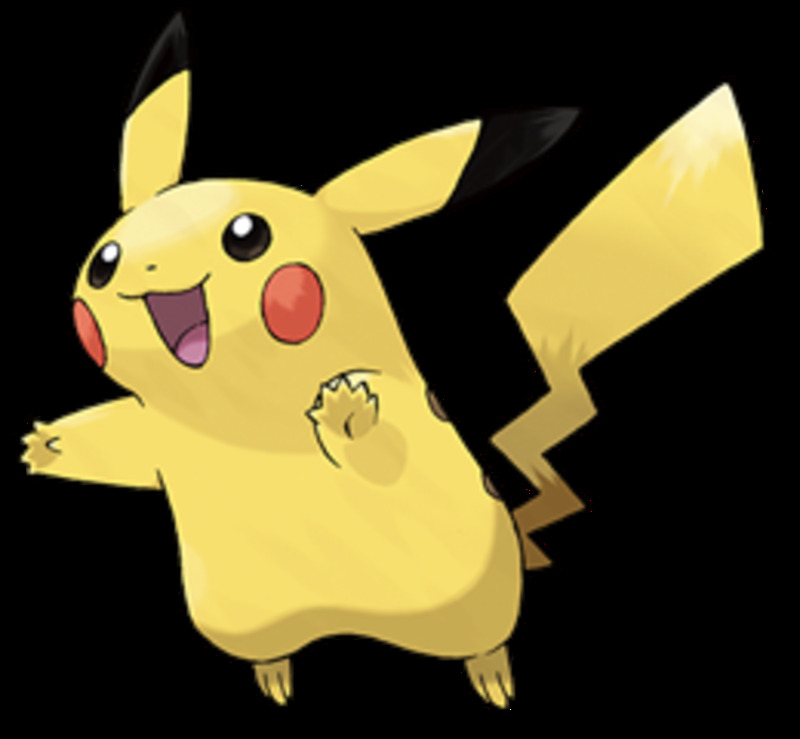 This Stage 1 creature can evolve to Gengar, but honestly doesn't need to considering its potent and Energy-efficient moves. Haunter has a decent 70 HP and a Resistance to Fighting. He's also weak to Dark, but those cards were few and far between at the time. 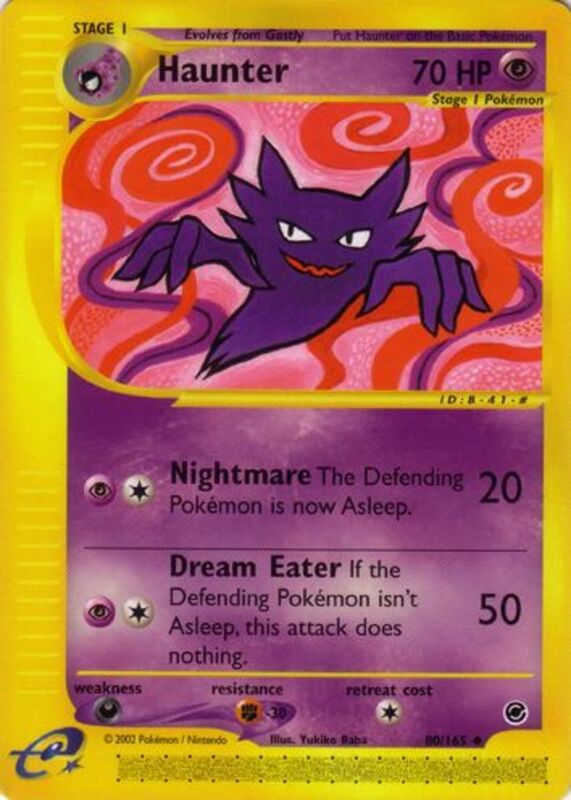 Nightmare (2 Energy) Blasts for 20 and puts the opponent's Pokemon to sleep, no coin flip required! Dream Eater (2 Energy) Nails a whopping 50 damage, but only works when the Defending Pokemon is asleep, a perfect combo with Nightmare. 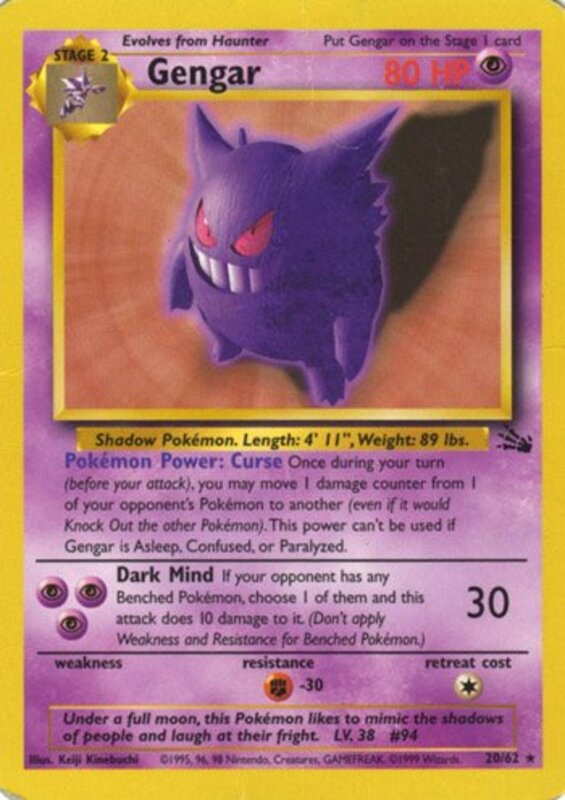 Haunter has a low Retreat Cost, a Resistance, and two awesome attacks, making it one of the best Psychic cards of its era, especially considering it only needs to evolve once. Speaking of the rare Dark Pokemon, Tyranitar lumbers in with 120 HP, a Resistance to Psychic, and a Weakness to Fighting. 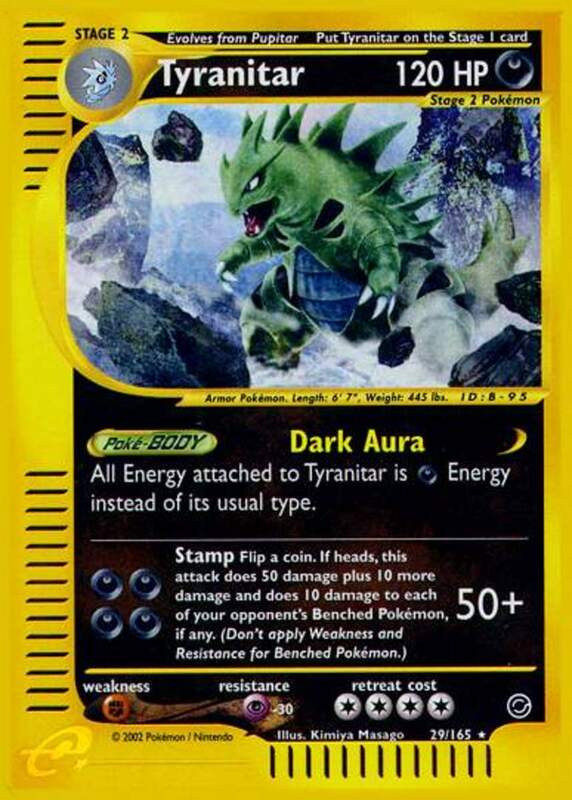 Dark Aura (Poke-Body) Turns all Energy attached to Tyranitar to Dark. 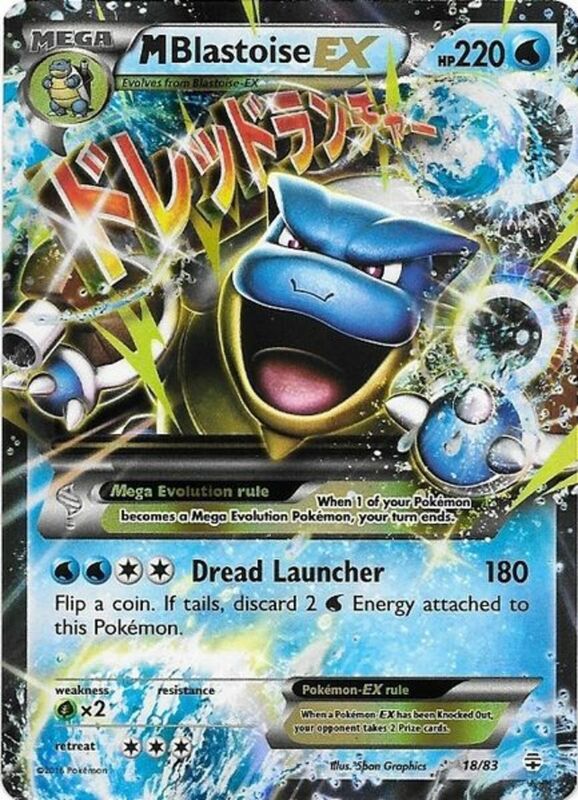 Essentially, this means Tyranitar can go into any deck, because any kind of Energy will fuel its attack! Stamp (4 Energy) Deals 50 damage and flips a coin. A Heads deals an extra 10, plus 10 to each of the opponent's Benched Pokemon. 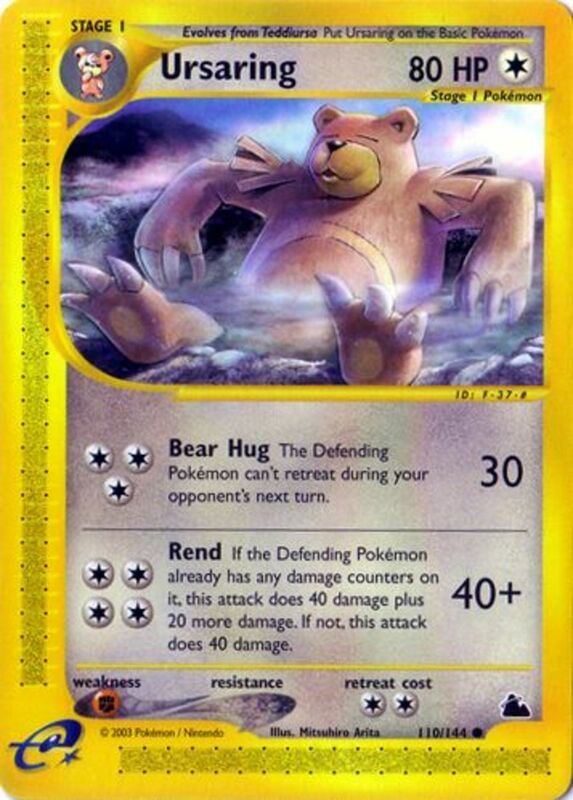 Tyranitar's passive trait lends him adaptability to any deck, while his attack deals huge damage with potential to weaken the opposing Bench. Just beware Fighting types and a massive Retreat Cost. 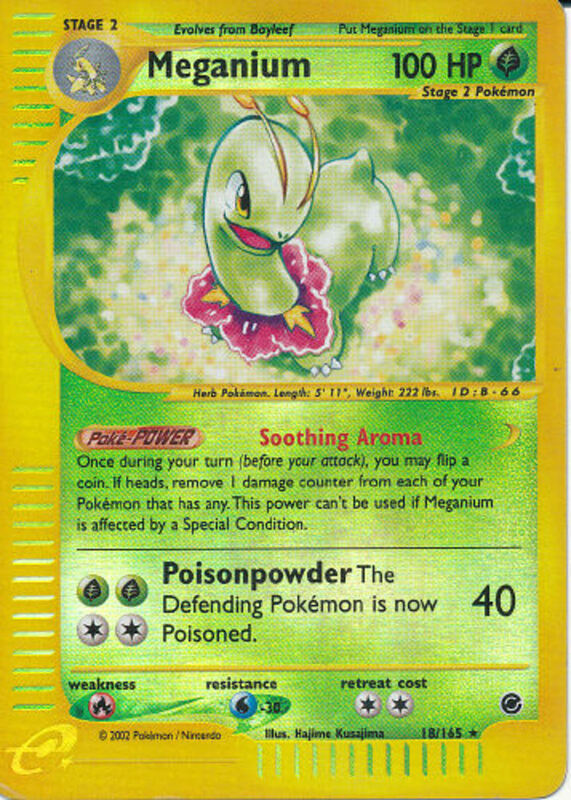 Soothing Aroma (Poke-Power) Once per turn, you may flip a coin. A Heads removes one damage counter from each of your Pokemon! Poisonpowder (4 Energy) Strikes for 40 and poisons the foe. 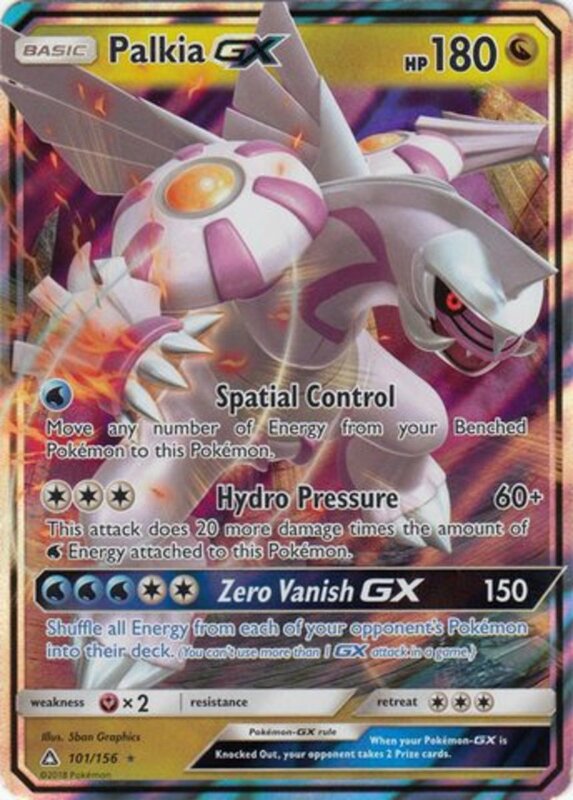 A Double Colorless Energy again hastens the usage of this attack. Remember that unless stated otherwise, Poke-Powers function from the Bench as well as in play, meaning Meganium's Aroma effect rejuvenates your team regardless of Meganium's location. Combine that with Poisonpowder's impressive damage and guaranteed status condition, and Meganium won many battles of attrition. Which card do you think is the best? Expedition delivered some spectacular monsters while redesigning the cards and introducing Poke-Body attributes, making it one of my favorite expansions. Feel free to vote for your favorite of today's assortment, and I'll see you at our next expansion countdown: the Aquapolis set! I had that haunter! Cool he didn't need to evolve to be strong.